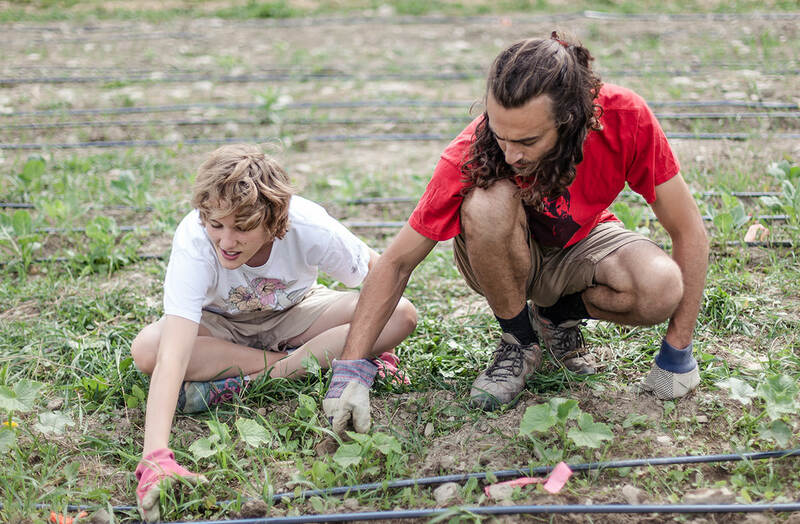 The Summer Program is the cornerstone of the organization’s offerings. 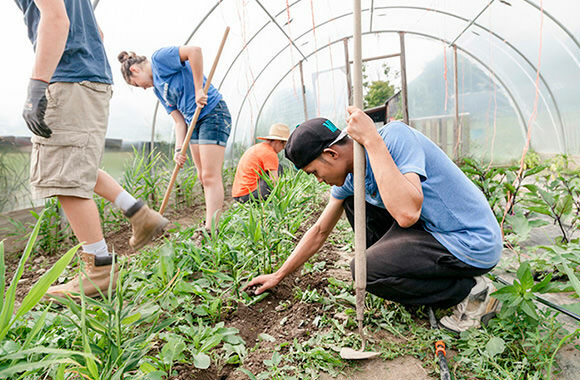 Throughout the growing season, teens have a chance to work in every aspect of food production: sowing seeds, managing harvests, selling produce at their mobile market, and participating in weekly development sessions when they learn to transform the raw produce that they grow into value-added products and discuss the community issues their work can impact. Privilege, racism, localisation, economic impact, migrant labor, climate change– the discussion topics vary, but they’ve become a guiding force in decision-making for both students and staff. This is not well-intended adults telling kids that this or that is important or suggesting things that they might do in response. We have, through conversation, a gradual percolation of ideas that come to the surface. Then together we say, 'What do we do about it? As the students have grown and matured, so has the organization. 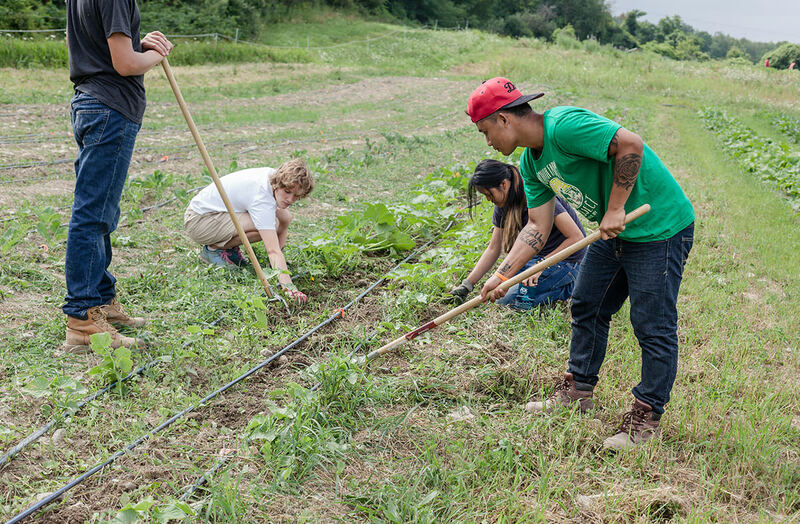 Initially a collaboration between Three Swallows Farm, Lehman Alternative Community School, South Side Community Center, and Full Plate Farm Collective, the idea was to offer a summer job where teens work hard, get sweaty, and go home at the end of the day knowing that they accomplished something irrefutably positive. It has since evolved to include opportunities for students in kindergarten through college. 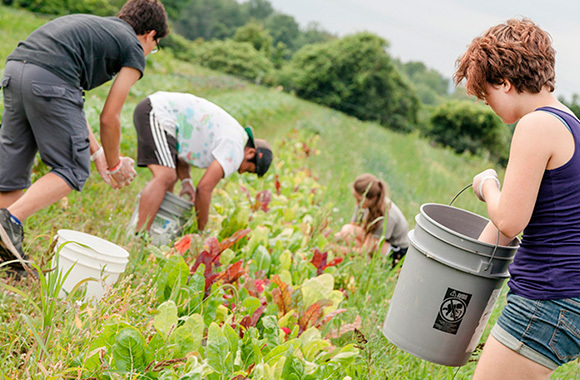 In 2015 YFP merged with Woods Earth, bringing stronger connections to the Ithaca school system through the Fresh Snack Program, which serves 5 elementary schools. 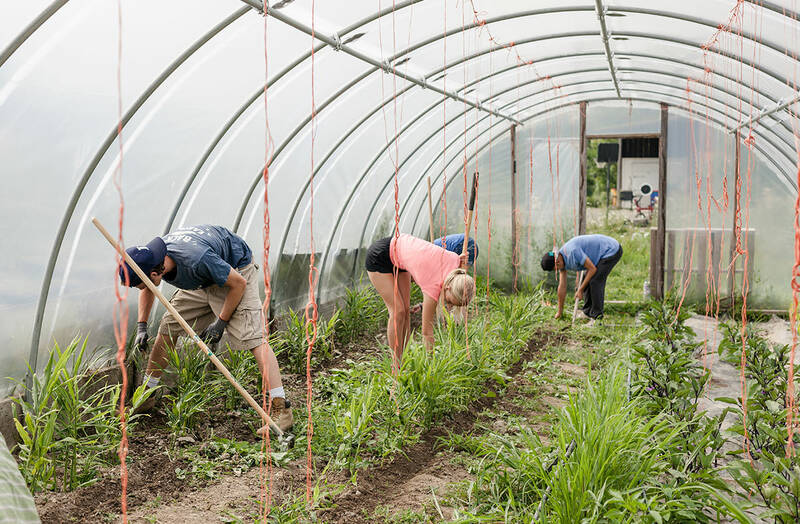 During the growing season a large portion of the produce served in the elementary schools is now provided by the YFP farm, grown and harvested by the older students. 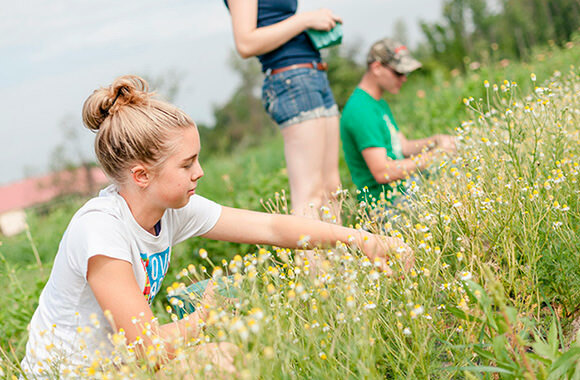 The merger also brought spring and fall K-5 field trips out to the farm, with an integrated curriculum so young students learn about the food and the growing process before they come for a multi-faceted, higher-impact experience. 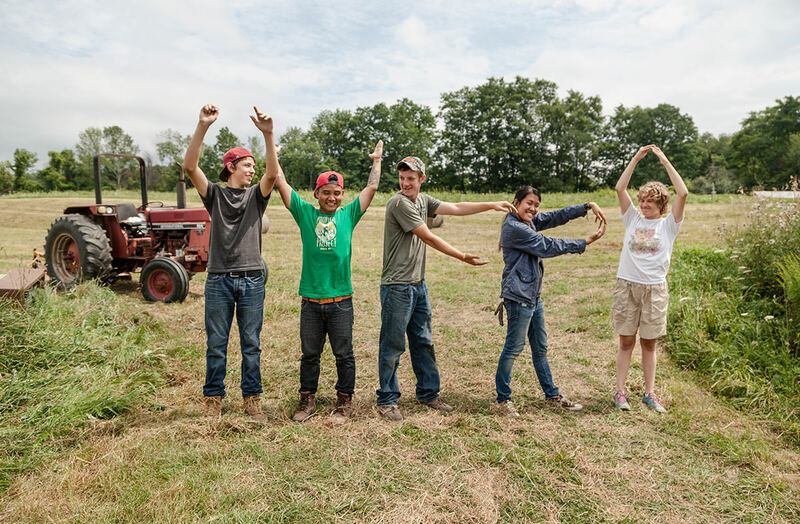 The merger also initiated the Youth Farm Project’s relationship with the Center for Transformative Action. 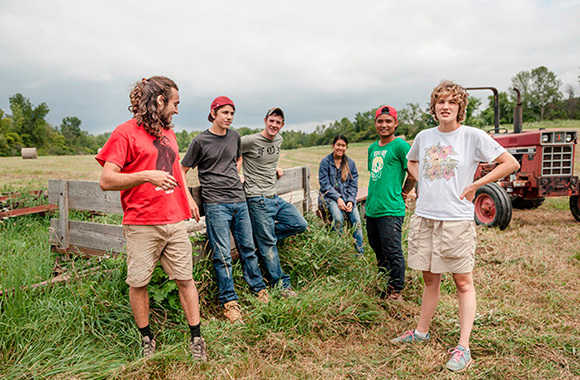 The Youth Farm Project is dedicated to supporting and promoting a diverse group of participants and a diverse staff, another mission supported by the CTA network. The YFP leadership is working with Kirby Edmonds and Laura Branca, senior fellows with the Dorothy Cotton Institute, a project of CTA, to integrate anti-racist and inclusive principles into their mission, vision, and practice. 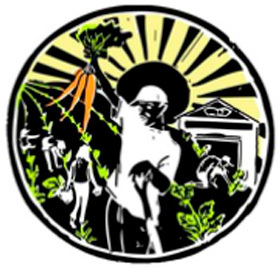 Because YFP is supported through grants made possible by CTA’s 501(c)3 tax exempt status, students get the opportunity to choose how to distribute food in ways that have the biggest impact and moves our food system towards better equity, rather than just focusing on retail and cash flow. 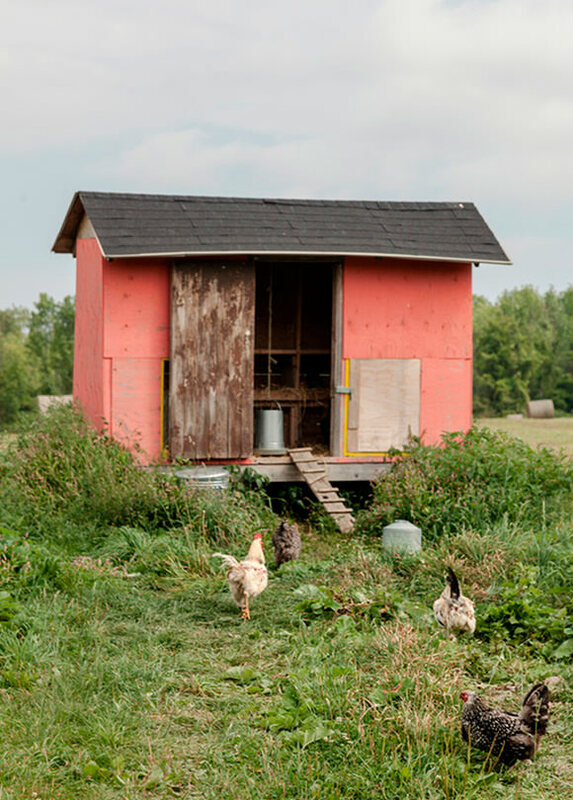 One such example is the Harvest Box program, a CSA-style distribution system focused on engaging its members not just as end consumers but as active participants, regardless of their ability to pay. 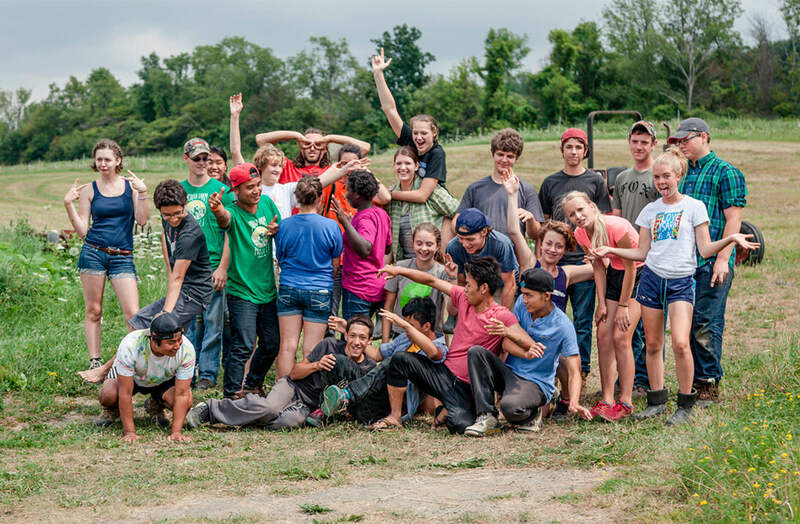 Volunteer opportunities at CTA will change your life.